Fire doors are an essential safety feature, especially in multi-storey residential buildings where they are a legal requirement. The two most common categories of fire door are FD30 and FD60 fire doors, which offer 30 and 60 minutes of fire protection respectively. However, the fire quelling capabilities of a fire door are compromised if not correctly installed. So to help any installers ensure this doesn’t happen, we’ve created a comprehensive guide to fire door installation and the associated legislation. Who should be installing fire doors? The only people that should install fire doors are those that are competent and have undergone the correct installation training. There is a renewed Fire Door NVQ that was launched in 2017 between the British Woodworking Federation (BWF) and Neath Port Talbot College. This qualification covers the specific knowledge and skills related to safely installing fire doors. You can find information on this course by following the link here. What Building Regulations cover fire doors? Approved Document B: Fire safety provides guidance on how to meet the building regulations for fire safety and includes fire doors. Volume 1 covers dwellinghouses and volume 2 contains information for buildings other than dwellinghouses, including flats. Appendix B of each document covers information on the standards of performance that fire doors should meet. One important piece of guidance for installers that is outlined in Approved Document B: Fire safety covers fire doors that are serving an attached or integral garage. According to building regulations, fire doors in these locations should be fitted with a self-closing device. When supplied with a fire door, the associated documentation, which includes fitting instructions, should also be provided. So when it comes to installing the fire door, all of the information outlined in the fitting instructions should be followed carefully. How can I tell if a fire door is certified? Before installing a fire door, you should make sure to check if the door is certificated. You should be able to identify its certification by looking for a label or a plug. Labels are commonly used by the British Woodworking Federation (BWF) for their Certifire scheme, whilst coloured plugs are used by BM Trada for their Q-Mark system. If you are unsure on exactly what to look out for, we recommend using this guide on how to identify a fire door. Can you obtain fire door certification? You can obtain the Certifire certificate for the door leaf, door seals or ironmongery by requesting it from the supplier or downloading it from the Certifire website. Just make sure to check the CF number on the top of the door, door seals or ironmongery beforehand to ensure that you download the right one. Can you trim a fire door? If working with a Certifire approved fire door, it is possible to make some alterations to it, provided they are within the scope of the fire door’s ‘Certifire Approval’ documents. Carefully abiding by the instructions outlined in these documents is essential, otherwise you could invalidate the certification of the door. It is also possible to trim the size of the door. However, size alterations must not exceed the trim allowance and the label on the top edge of the door must not be removed. In order to determine their FD rating, fire doors are subjected to a test procedure specified in BS 476-22:1987 or BS EN 1634-1:2014. The tests are performed on complete fire door sets, meaning the fire door, door frame and ironmongery (locks, hinges, latches, etc.) are tested as a complete unit. Although fire doors are tested with a door frame and certified as a fire door set, it is common practice for manufacturers to sell certified fire doors to be used with timber frames that are built by the installer. The specification of the frame will either be sent with the door or will be available on the website of the relevant fire door certification scheme. It’s essential to stick to this specification otherwise there are no guarantees that the door will offer the expected levels of fire resistance, once it’s been installed. 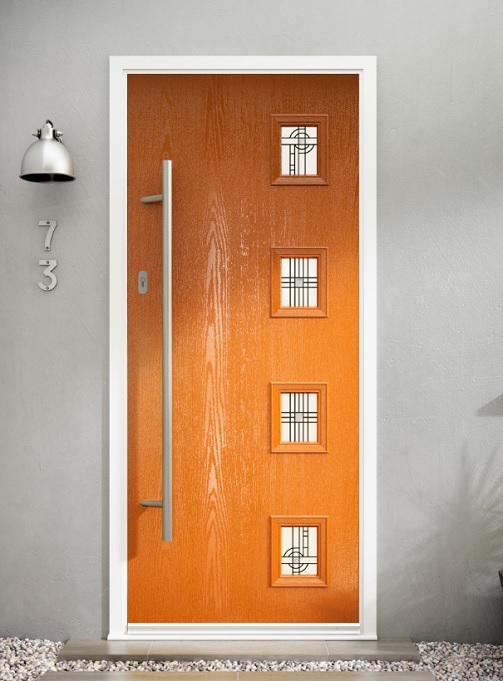 Is it possible to fit glazed or non-glazed openings in fire doors? In certain cases, glazed vision panels or glazed openings will need to be added to a fire door. The purpose of fitting these will either be to increase light or provide a vision of the other side of the door. When louvre panels or air transfer grilles are present, non-glazed openings might also be required. The issue with any openings is that they will have a dramatic effect on the fire door’s performance. Therefore, any openings must only be added by companies who have been approved to perform this type of work. Installers should never attempt to fit openings on site as this will void the door’s test certificate. Are intumescent seals required for fire doors? In order for a fire door to achieve an FD30 rating, it’s necessary for it to be fitted with intumescent seals. However, in dwellings, it is common for installers to install an FD30 rated door leaf in a site made frame without using intumescent seals. This installation method is commonly accepted by building control as providing a sufficient level of protection to escape routes within dwellings. However, this practice is not directly supported by an appropriate fire test or independent certification so should, arguably, be used with caution. 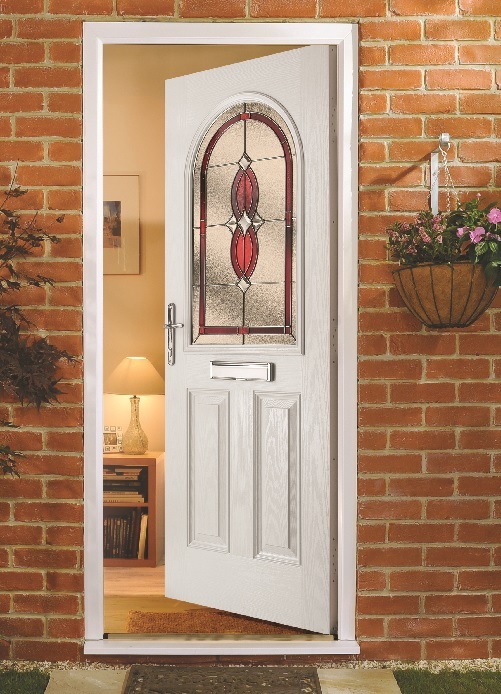 It’s also important to make the distinction that this guidance does not apply to flat entrance doors, fire doors located in communal areas of residential buildings and fire doors fitted between a house and a garage. When installing intumescent seals on fire doors, it’s also essential that the ones you use are compatible with the door leaf, ironmongery and other components. When installing a fire door, the locks, latches, hinges and other ironmongery should be compatible with the door leaf’s certification. So for BWF Certifire Approved doors, all of the ironmongery must be Certifire Approved too. All ironmongery must also be CE marked and no screws should be missing. The fire door’s documentation should also specify the correct number of hinges that must be used when fitting the door. How big should the gap be between a fire door and the frame? Once a fire door has been installed, the gap between the door and the frame at the top and sides should be between 2-4mm. The threshold gap should also be as per the manufacturer’s instructions, although this is typically between 8-10mm. When smoke seals are required, however, this gap should be 3mm. This information should be included with the certificate. A correctly installed door should close soundly against the frame and firmly onto the latch from any angle so make sure to check both of these things after installation too. Any voids that exist between the door frame and wall should also be securely fitted with mineral wool. Is signage required on a fire door? If installing a fire door in a non-domestic building or a common area of a residential building, the door should have the relevant signage on it. Signage is not required on fire doors fitted in dwellings. 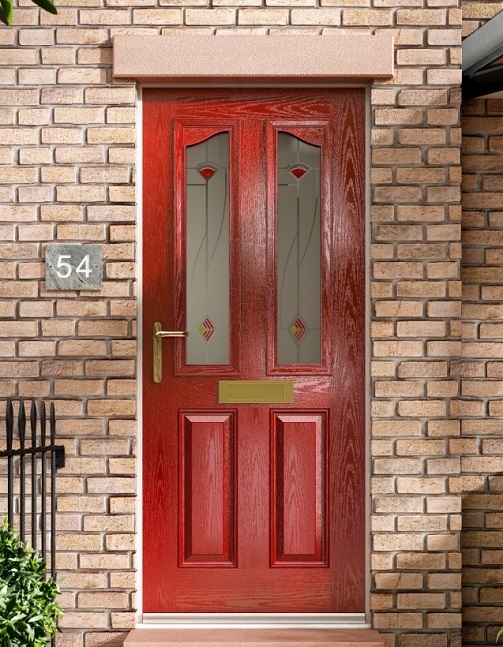 Here at Astraseal Trade, we supply installers nationwide with FD30 and FD60 rated composite fire doors in a variety of styles and colours to suit any application. For more information or a quote, please call 01933 227 233 or contact us online. This entry was posted in Installer Support. Bookmark the permalink.